Thanks again for a great show Shawn! Everyone had a blast! It was great having you. Very amazing tricks. Love to have you again. You make them look so real and believable! I was the woman at the party mentioning IBM and SAM. I really enjoyed what I was able to observe. I was on your side during your cups and balls and was impressed with the crowd's reaction. You made magicians look good. Thank you! Dinner party magic at the Four Seasons Resort. 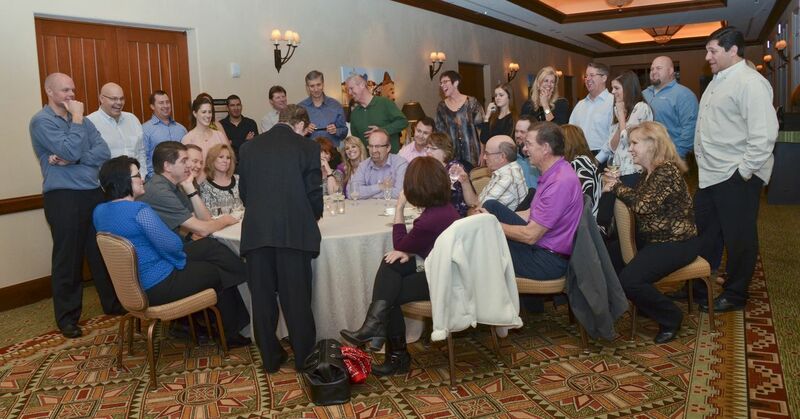 After strolling around with the close-up magic, the whole group is gathered for a final show at one of the tables. 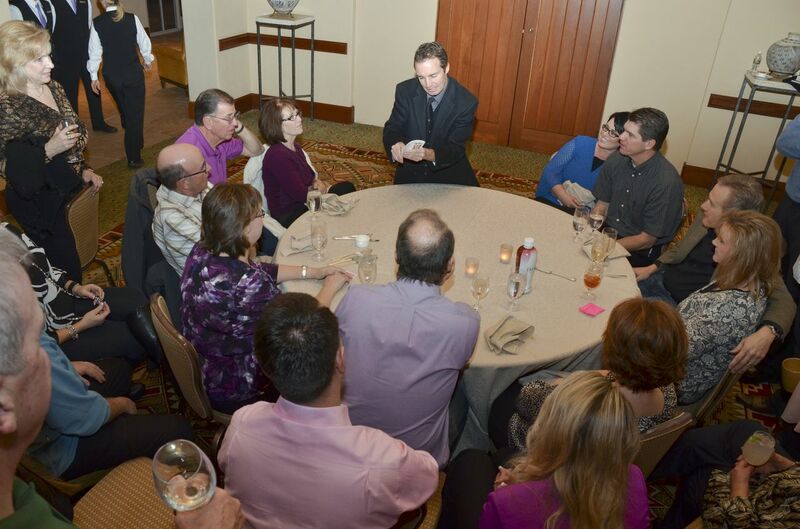 As one can see, this type of performance gives the audience quite a thrill as well as a sense of community, a sense of a shared experience of astonishing Magic Fun! A great way to top off a performance! A special thanks to Holly L. for these amazing photos! I had always dreamed of going to a tropical island paradise for my 50th birthday, so in December I took a trip to Oahu, Hawaii. It was quite an adventure! Not only did I celebrate being 50 by swimming in the ocean, I was able to join my good friends Tommy and Polly for their week long wedding festivities! 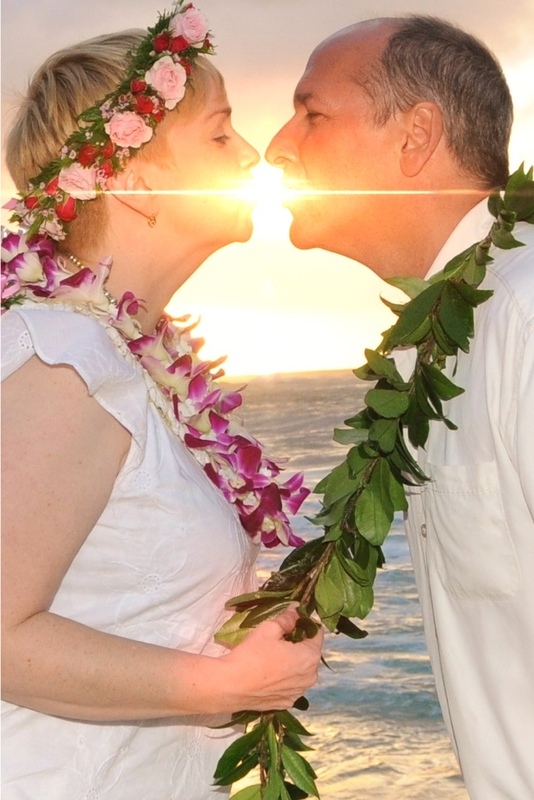 They were married on the winter solstice, 12/21/12, during sunset on a beautiful beach appropriately called Sunset Beach. It was truly an awesome time and place! Tommy is my oldest friend, we've had lots of magic adventures over the years, and have seen each other go through the best and worst of times. Seeing him and Polly get married, so happy and beautiful together, it was incredible! I'm so happy for them! It really reaffirmed my hope in the power of love. 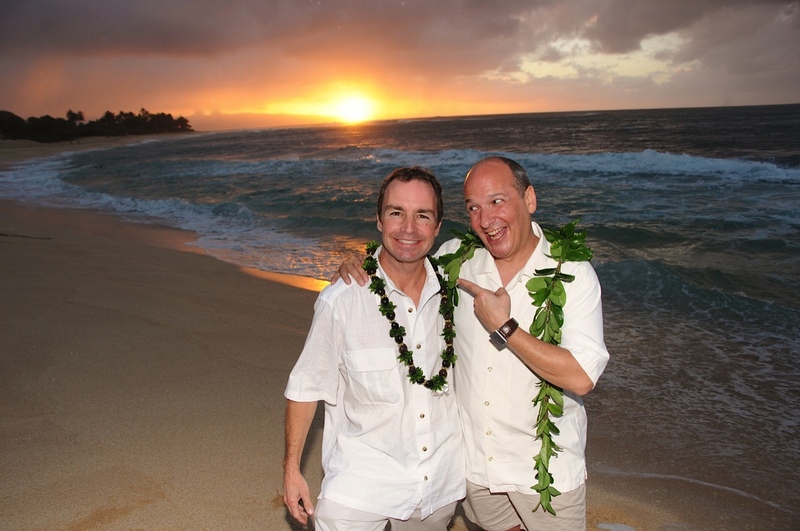 Our time in Hawaii will certainly be a memory to cherish! 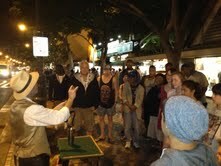 In addition to celebrating the wedding and my birthday, I had the opportunity to explore a new busking pitch in Waikiki! 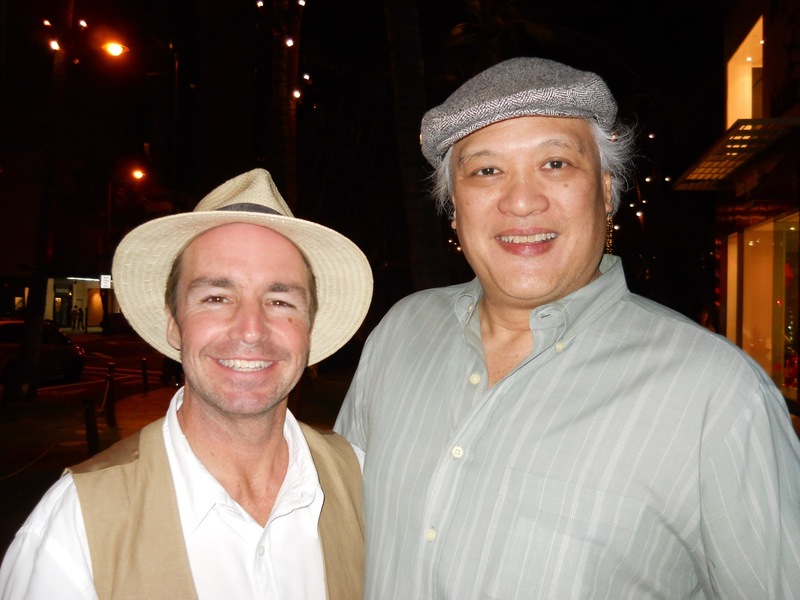 My friend Curtis Kam helped me plan and execute my busking adventure on the Kalakua Blvd. 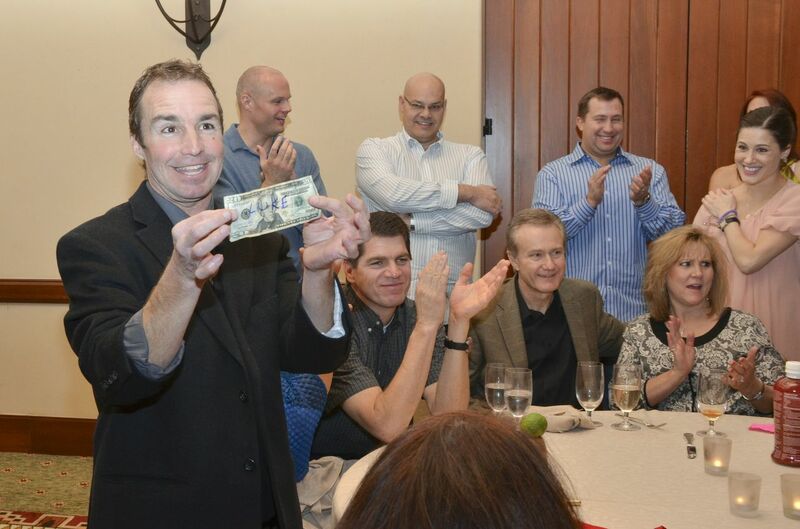 Curtis is a native master magician who specializes in coin magic. He came out several nights to see the show and it was a pleasure to watch him perform too. Together, we kept the crowds entertained. Curtis also introduced me to several magic friends who took me out for tea and with whom we enjoyed a few late night magic sessions. Great fun! It was a pleasure to meet John & Loreen, and David K. (special thanks to David who gifted me with a beautiful new magic wand)! 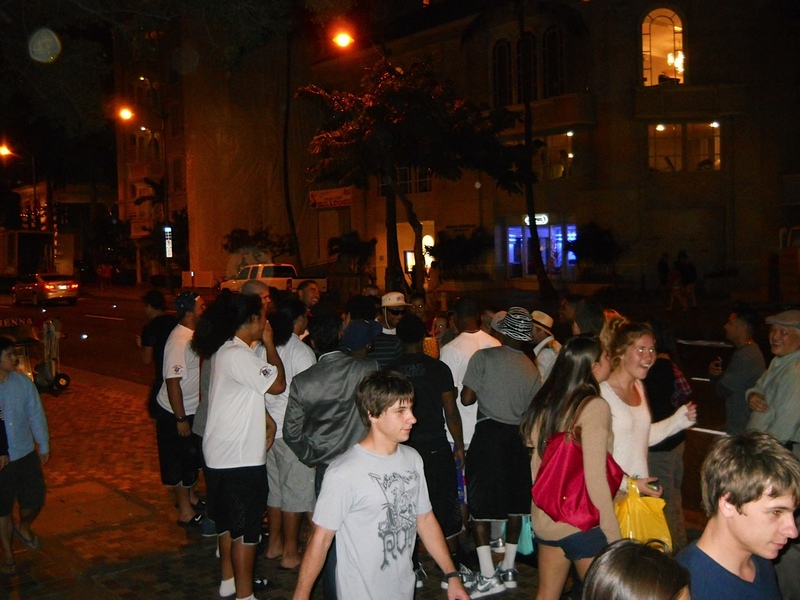 I have so many people to thank for making my trip a success. Thank you Tommy and Polly for your love, friendship, and including me in your wedding adventure! Thank you Curtis for being so supportive and generous with your time. Thanks to the folks at the Royal Grove hotel for their hospitality. Special thanks to all my family and friends for their love, encouragement and friendship, especially this past year. Most of all, I thank God for His care and guidance, for blessing me with the talent to entertain people with magic, and for dreams and the power to pursue them!